There is no suitable time for a key or lock emergency, such tricky situations can strike any time day or night leaving you with a nuisance of a problem on your hands. So what’s the way to go? Well, for starters contact us at Multi Locksmith and ask for our emergency locksmith service! We are well-aware of how frustrating it is to be locked out of your house, office or car, or when you have misplaced your set of keys on the way to work, or on your way home. Sometimes age and use take their toll on locks, locking mechanisms and keys – a snapped key stuck in the lock or a jammed lock is a pickle of a situation, though this is something which can be easily fixed with our punctual and reliable emergency locksmith service. Reliability and quick reaction are a priority for us as a professional service provider. In light of this, we maintain excellent short notice availability in the form of a rapid thirty minute response time throughout the areas we service. Our emergency teams know their way around town well, which means there will be no costly delays or frustration and time-wasting. The guys will arrive at your address fully equipped for the situation at hand. They will expertly assess the problem and come up with the most suitable and effective solution. Our aim is to have your key or lock problem dealt with immediately, so the more information you provide us on the phone the more resourceful and effective we will be. The emergency locksmith service is available to all private and business customers. It covers residential, commercial and a wide range of automotive key and lock issues. For a full list of problems our emergency locksmith service covers (and they are quite a few) please speak to our friendly and attentive customer consultants. 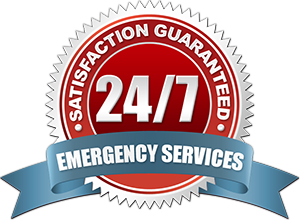 Naturally, emergency locksmith requests are taken twenty four hours a day, seven days a week, including public holidays. Our emergency teams will arrive timely, should there be unforeseen circumstances causing delays, we will dispatch another team to your location immediately. Our 24 hour locksmith technicians are qualified and highly skilled professionals who know all the tricks in the book – there will be no lock too jammed or key too complex to replace. Our guys are well trained in the safe and effective use of specialized tools and equipment thus allowing for quicker service times and successful resolution of almost any key or lock problem they are faced with. Did you forget your car keys at the office? There is nothing more aggravating than going to your car, only to realize that the keys are not with you. At Multi Car Locksmith, we work 24 hours a day to help you out. We cover the entire East Bay area, with the most reliable technicians that truly understand their craft. We’re on call 24 hours a day in case of any emergencies. You don’t have to hit the panic button any longer. We’re also noted for our incredibly fast arrival time. We never take any chances with your safety either, which is why, we’ve earned such a prestigious reputation throughout the years. We know how aggravating it is to get stuck somewhere on the road, particularly at night. That’s why we stay on call 24/7, just in case of emergencies like this. Our vans are equipped with the most sophisticated and advanced technology. It takes some mighty hard accuracy and precision to carefully duplicate a transponder key. We’ve honed our craft to perfection, which means you get the highest quality services. All work is done on the spot, so you can always feel free to ask our reliable emergency technicians any questions you have. All you need to do is contact our 24/7 support line, and let our friendly representative assist you through each step. After the call is made, a reliable emergency auto locksmith will already be on the way. We work with all kinds of vehicles, so you never have to worry about that. We go above and beyond all expectations for customer satisfaction. In fact, we love to brag about our long list of client testimonials. We’ve helped get many satisfied clients home safely. We’re a friendly and reliable emergency auto locksmith company that is also very reasonably priced. You can never take a chance on the road. Let us help get you safely to your destination.